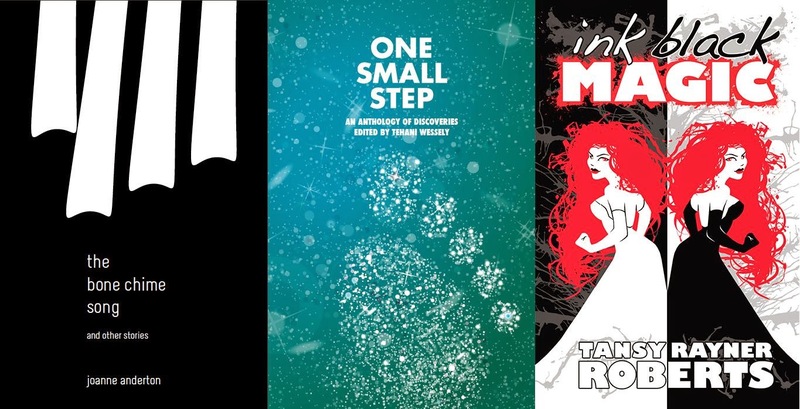 Following the opportunity offered by Ticonderoga Publications to experience their Ditmar Awards nominated titles today we can have a taste of more such works shortlisted for this prestigious award. This time FableCroft Publishing offers to our consideration samples of its nominated titles, the short stories “Mah-Song” by Joanne Anderson, from the author’s collection “The Bone Chime Song and Other Stories”, and “Cold White Daughter” by Tansy Rayner Roberts, from the anthology “One Small Step” edited by Tehani Wessely, together with an excerpt from the novel “Ink Black Magic” by the same Tansy Rayner Roberts. You can find each of them with a downloading link on FableCroft Publishing’s website.